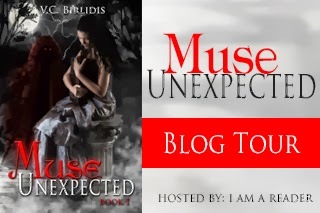 Learn more about the new book Muse Unexpected, then enter for a chance to win a $50 Amazon gift code below! "We're Muses. Not vampires, not fairies, not werewolves. We're Muses." Sophie was sure her mother had reached an epic level of crazy. ‘We're Muses?' She thought Muses were lame, not to mention she found the idea ridiculous. However, Sophie couldn't explain away her physical transformation that made Anne Hathaway in The Princess Diaries look like a bad Walmart make-over, not to mention why her mood swings triggered an uncontrollable ability to shoot powerful bursts of energy out of her hands. Sophie soon realizes modern day Muses have evolved into powerful guardians of humankind, tasked with keeping mortals on the right path and the original Olympians locked away from the world. But old hatreds don't die easily, especially for immortal enemies that have an eternity to plot and gather their forces. 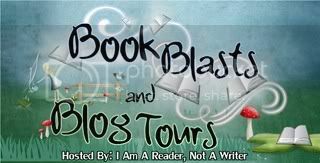 Well aware of the Fates' foretelling of another Olympian war, and a young Muse that would rise up as a warrior and defeat them, the Olympians have vowed to either possess Sophie or destroy her. Either way, they will make sure everyone associated with their imprisonment will reap an eternal damnation in the Underworld, leaving the Olympians to restore Mount Olympus and force humankind into a future of never-ending servitude and misery. V.C. Birlidis was born and raised in Miami, Florida and has always been involved in the arts. He attended the New World School of the Arts and was a member of The Miami Ballet. Mr. Birlidis moved to Ohio to attend college where he earned his Bachelor's degree in marketing and communications from Capital University. 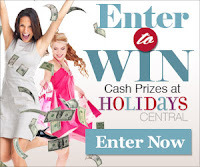 He currently is the Director of Marketing at one of the top midwest advertising agencies, SBC Advertising. He has freelanced as a writer for Outlook News and Tickled Pink Magazine, where he wrote a comical advice column named Ask V.
Five years in the making and inspired by the numerous Greek myths his father would utilize as demented bed time stories, Muse, Unexpected is Mr. Birlidis' first novel. 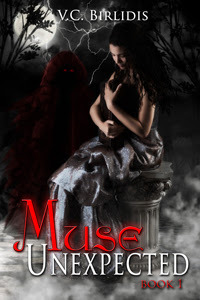 It is the first book in his Muse series.